This muzzleloader version of the X-Bullet is 100 percent copper with a large, hollow cavity for quick, sure expansion. 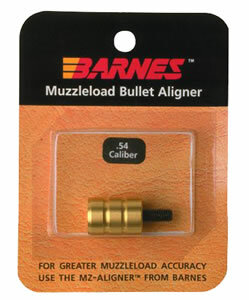 Barnes' Expander MZ Muzzleloader Bullets produce more consistent shot-to-shot velocities and better accuracy for greater shooter confidence and more one-shot kills. Expander MZ bullets deliver deadly performance at both high and low velocities. 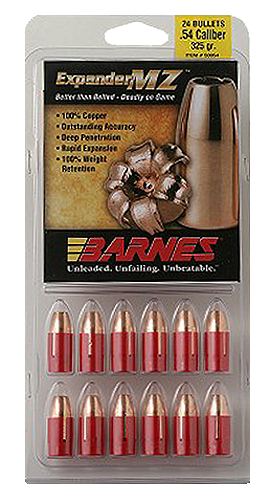 These tough, deep-driving bullets typically retain 100 percent of their original weight. They expand to twice their original diameter, creating six razor-sharp copper petals that slice through game.